whether you've been to or have never been to Mindanao there is always something new to discover. let's set aside all the issues and conflicts and let's give way to the better side of the country's "Land of Promise". it is best to begin the series with a good list of reason why you need to visit Mindanao this year. FESTIVALS. Filipinos are happy people and Mindanao will never lag on this aspect. 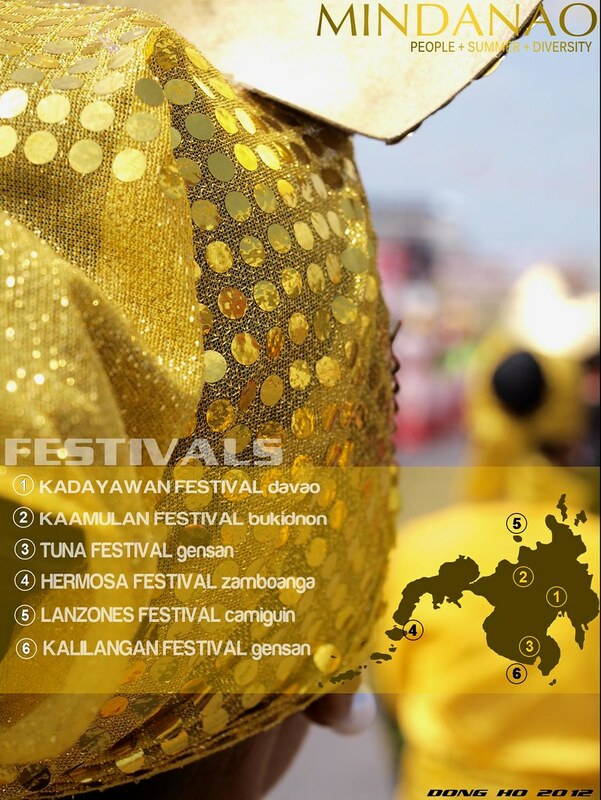 most festivals like Kadayawan, Kaamulan and Kalilangan highlight the islands ethnic culture of the Lumads. Camiguin's Lanzones Festival and General Santos' Tuna Festival celebrates the abundance of Mindanao's natural resources. while on the Western tip of Mindanao island, Zamboanga city celebrates the Feast day of Our Lady of the Pillar. ADVENTURE. it is every Filipino mountaineer's dream to reach the country's highest peak and traversing Mt. Apo connects the two province of Davao del Sur and North Cotabato. 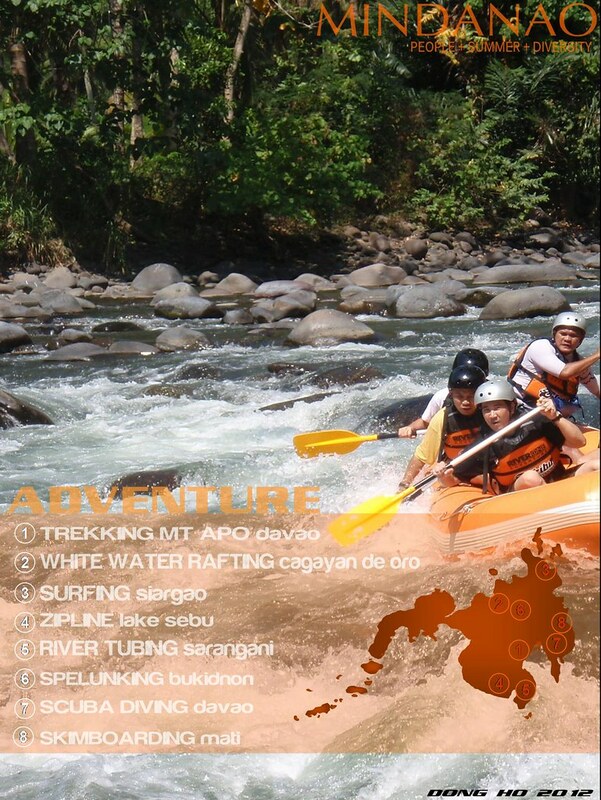 the city of Cagayan de Oro and Bukidnon shares a wide range of adventure spots. including ziplines, caves and its world class river rafting. beach activities is growing in the East Coast with Siargao being the top spot for surfing in the country. BEACHES. a large part of Mindanao is landlocked but its peninsula and the Sulu archipelago has some of the country's unexploited beaches. from the unique pink-like sands of Sta Cruz in Zamboanga to the sandbar of Camiguin. 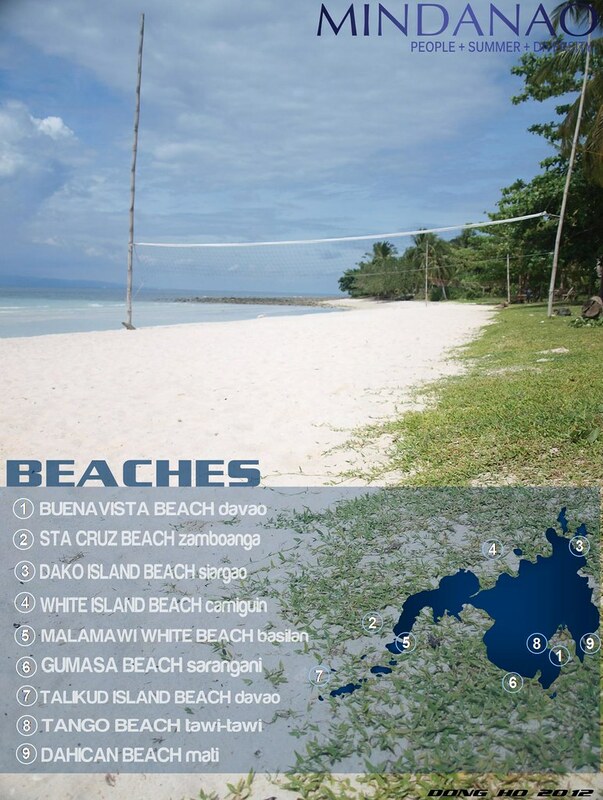 don't be surprised, in Mindanao, even the public beaches are relatively clean. WATERFALLS. majority of the highest waterfalls in the country are in Mindanao. 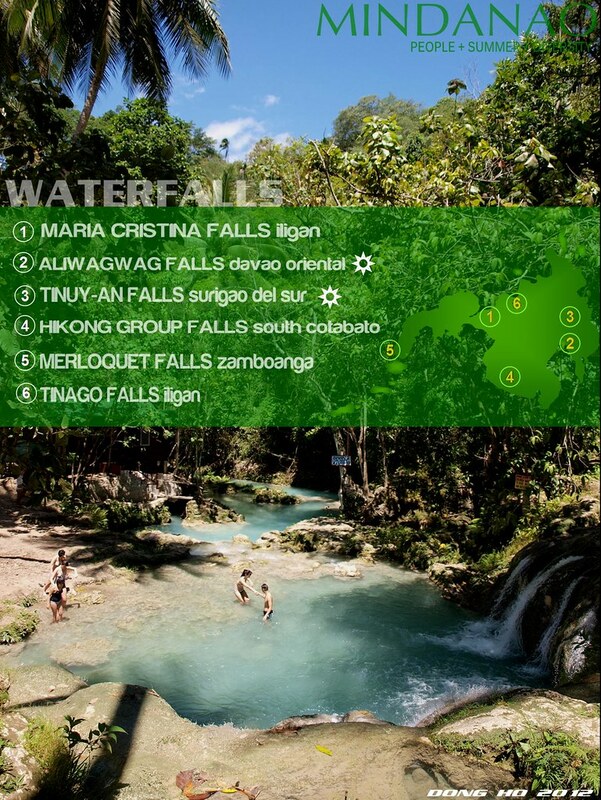 the island also holds the record with Aliwagwag Falls as the highest in the country and Tinuy-an Falls as the widest. Iligan and Cateel envelopes the most majestic waterfalls. not to miss out in the list, the famous Maria Cristina Falls, the largest energy generator by a waterfalls in the country. MOUNTAINS. six out of ten of the highest peaks of the Philippines is in Mindanao. Mt. Apo is the highest followed by Mt. Dulang-Dulang in Bukidnon. Mt. Kitanglad in Bukidnon like Mt. Apo are also among the largest Natural National Park of the country. 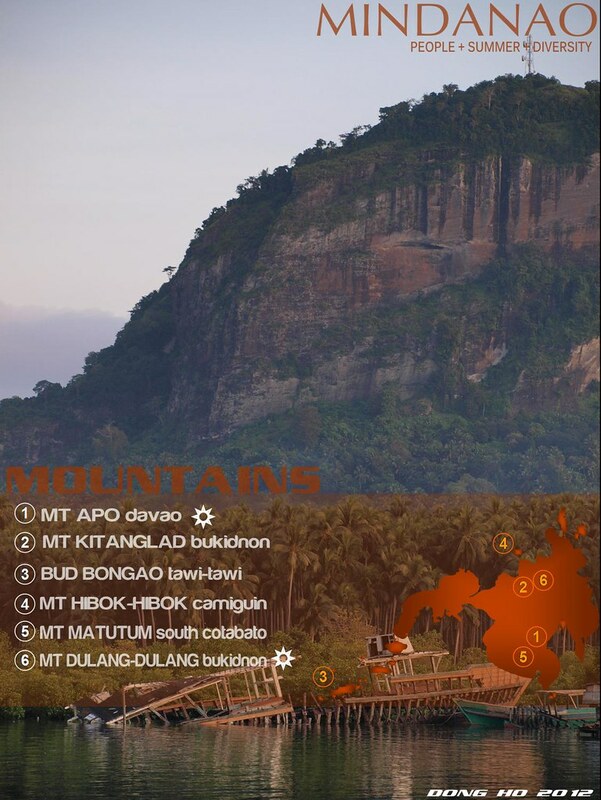 Bud Bongao in Tawi-Tawi is a trekker's favorite because of the monkeys along its trail and its summit being a sacred site. A very good and clear presentation, dong ho! very good. parang class syllabus ah, you know what's awaiting you. This post makes me wanna go to Mindanao ASAP! :) galeng! Looked like another fun and great adventure for you. wee bagong bihis ang bahay mo master dong! >Mervs, yes. adventure resounds so much in the greater mindanao island. i love trekking and white water rafting the most. >Photo Cache, hahaha... i used this format so that it'll be easy to plot the options based on ones desire to visit Mindanao. >Jarvs, salamat! let me know when. baka lang makasama. >Axl, the new look comes with the new series. salamat sa pagdaan. wow, it's all in the list. makes me want to travel and see Mindanao. btw, will wait for your adventure at PHL360. aabangan ko talaga! congrats! great photos! there's so much to do in mindanao. wish i can go back sooner. >Olan, that's really worth being proud. 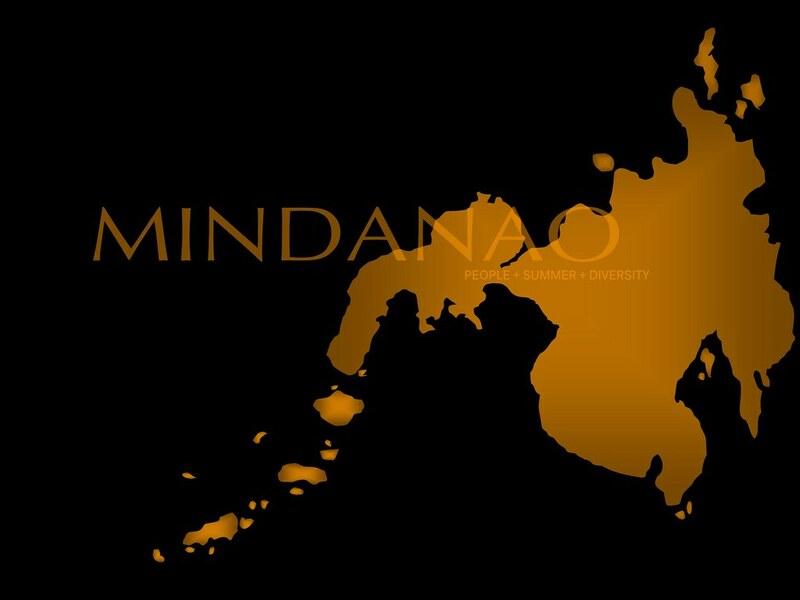 i am as proud to be from Mindanao. >Sendo, thanks! for sure you will find more spots once you explore Mindanao. >Gay, nice. let me see. parang gusto ko rin pumunta this year. >Nora, i hope you will visit Mindanao with the kids. thanks! im as excited on that project. phl360 traveling soon. >Mica, seeing you return to Mindanao many times proves that. >Gladys, big thanks! this list is nothing when you will start exploring those hidden spots. So attractive, I've enjoyed all the photos! >Drew, too bad though we cannot also entirely blame them as they too might have a basis. yes some good news will definitely give an image of the better side. >Borneo Falcon, hopefully through this series. >Elal, nice. looking at the map alone and seeing only a very small portion occupied by people it sure has a huge forest. it ain't called the land of promise for nothing. sayang di natuloy yung pagkita sana natin dun. thank you for visiting mindanao this year. That's a lot of land to cover Dong but definitely it will be worth our time. I'm looking forward to visiting these awesome places in Mindanao this year! Mindanao truly teems with natural wonders but sadly it has been tainted due to the work of a few. I hope with your posts about Mindanao, people would realize that there is something more than what they see or hear in the news. Andami talagang magagandang places and exciting adventures sa Mindanao. At sana matry ko din sila lahat! Looking forward to this Mindanao Series. the worries and doubts of local and foreign tourists about mindanao will be cleared out once they read this list. i always like how you deal with your photos, not only with your style in capturing your subjects but your personal treatment with everything-the watermarks, the overall layout; ang husay! if people would just look beyond the news, mindanao really is one of the more beautiful places in the Philippines. Maganda talaga ang Mindanao and I should really travel there more. These are indeed good reasons to put back Mindanao into my radar. Sayang lang talaga na hindi lang medyo tainted yung image nila. So this campaign (if you will call it that) will definitely give Mindanao a boost. :) Great job! Love the post. LuzViMin is lovely! Go Philippines! I want to explore Mindanao again.. Daming treasures and adventures! wow, ganda ng presentation dom! bilib ako sa poster skills mo. hehe. dami ngang pwedeng gawin sa Mindanao. i'll tour more of it pagbalik ko ng Pinas. Thanks for featuring Mindanao and highlighting what's there to see and experience - just like you, I'm always proud having been born there. Indeed, Mindanao is a wonderful place. The problem is the media, they portrait Mindanao as a places of Chaos. This kind of post will help changing this image. Keep it up! It's great how you highlight the beautiful things in every place you visit. Mindanao is blessed with amazing landscapes and water forms. Just got back fr Davao. Want to explore Mindanao more! Cant wait for the series!